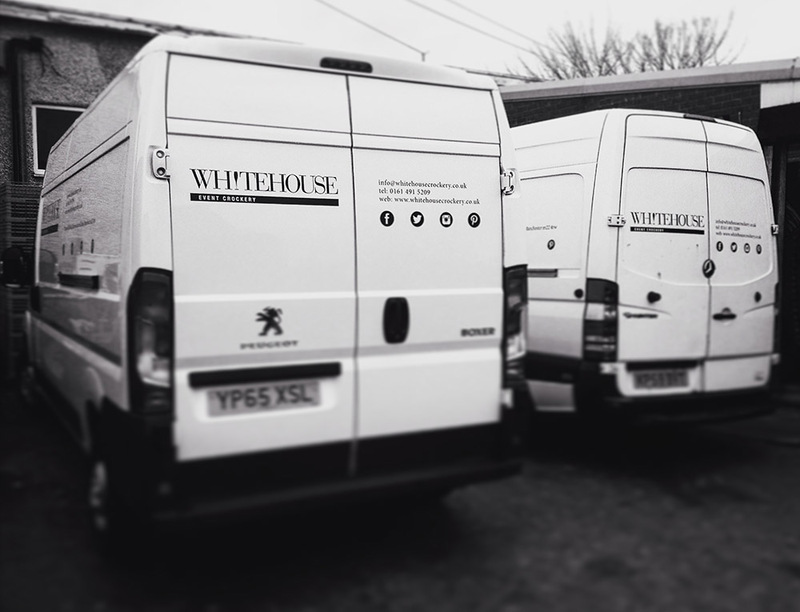 It’s been a busy summer here at Whitehouse HQ! 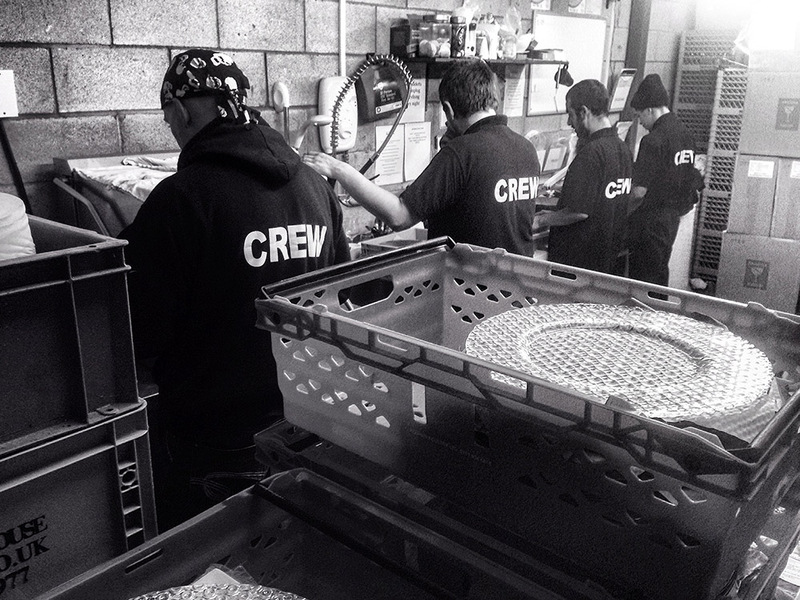 We’ve been up and down the country providing our plates, crockery, glassware and tableware for events of all shapes and sizes. From product launches to promotional events, showcases to open days, our crockery has been hired for use at all kinds of events so far this year. We have also been especially busy with weddings over the summer months; with one or two celebrity names gracing our client list! Due to the increase in demand for our crockery from both new and repeat clients, we have welcomed five new members of staff to our team since June. Now taking our total number of employees to 9, our team includes the lovely Racheal who has joined us as office manager who is doing a great job of dealing with customer orders and managing the logistics of our deliveries. In another method to meet customer demand we have also invested in a further delivery vehicle. With the new van now on the road, we are able to provide an enhanced service and shorter ordering deadlines for our catering, private and restaurant clients throughout the UK. In addition to expanding our workforce, we have also increased the setting numbers available for some of our most popular ranges and some fabulous new ranges. 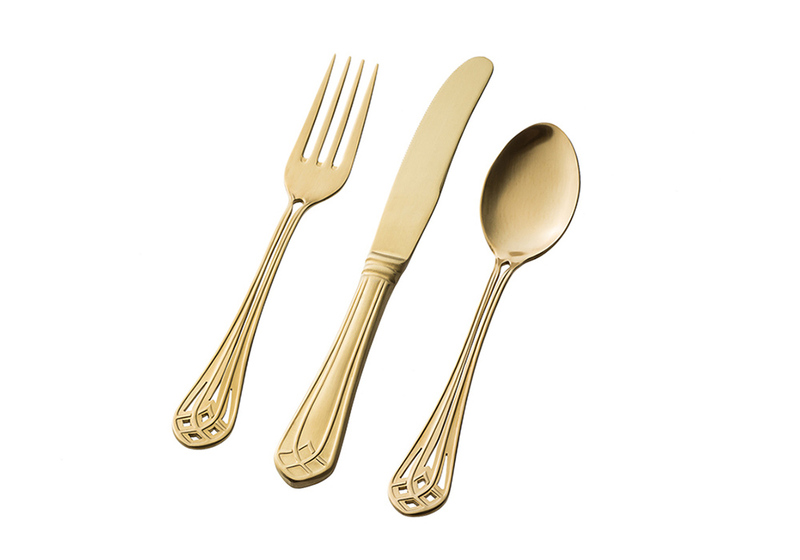 This includes our hugely popular Grace gold cutlery. As one of the few high end suppliers offering gold cutlery hire in the UK, we can now provide up to 600 place settings. As ever you can keep up to date with everything we have going on over on our social media channels. Check us out on our Twitter, Facebook and Instagram accounts. Whitehouse are delighted to announce that our much anticipated new gold cutlery range has arrived! Featuring starter knife and fork, table knife and fork, teaspoon, dessert spoon, soup spoon and serving spoon, the Grace range features curved lines and intricate detail that will set off the table at any event, wedding or function. With 1000 sets of our gold cutlery range in stock, we can cater to any event, no matter how large or small. Gold is the new silver as far as we’re concerned, and with the lighter days and evenings now upon us, golden hues add a touch of glamour to an event’s design. Hand in hand with our gold beaded Daisy charger plate and a choice of either our Amy or Cara gold rimmed glassware ranges, it’s easy to create an event look that will really sparkle with Whitehouse. We have already received a number of enquiries about the hire of our Grace gold cutlery – as one of the few luxury event hire firms in the UK to stock it, we anticipate a golden summer ahead! 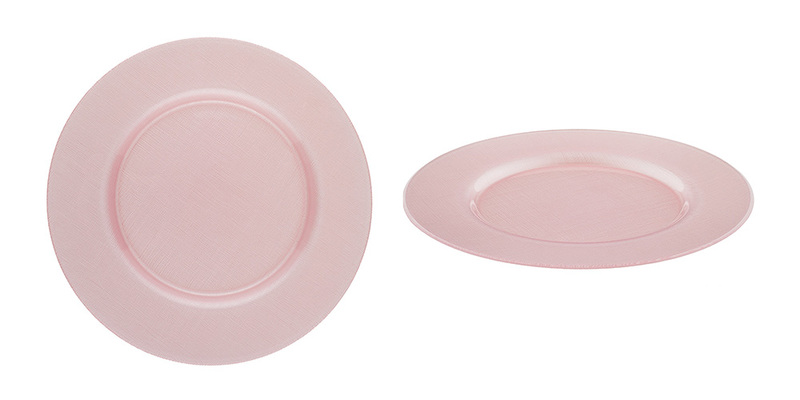 Further additions to the Whitehouse range in time for the summer include a new baby pink version (displayed below) of our ever-popular Sienna charger plate – the perfect addition to a pastel themed wedding or event. We are also anticipating the arrival of a brand new glassware range, which is due to land with us from Italy very soon. 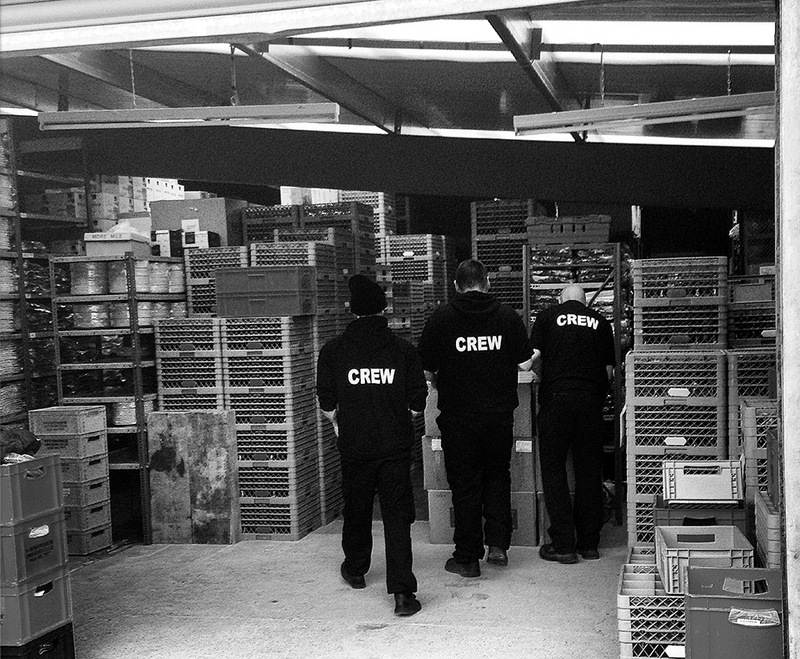 For further information on our new ranges, or to discuss the hire of our existing cutlery, glassware, tableware, chargers and crockery ranges, please get in touch with us. We’d be delighted to help you plan and create the perfect look for your event. Don’t forget… to keep up with all of our updates, including our recent exciting collaboration in London (blog to follow soon! ), follow us on Twitter, Facebook and Instagram.